Kickin' it back into gear in the boys bedroom! 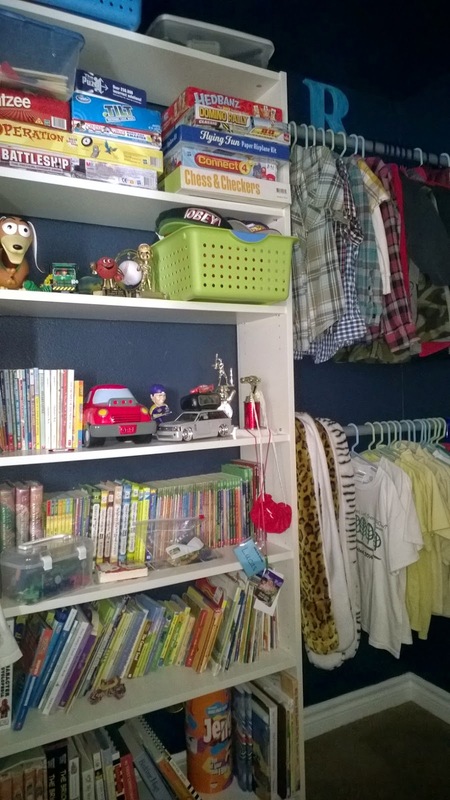 My handy hubby revamped their bedroom closet into a more functional space. 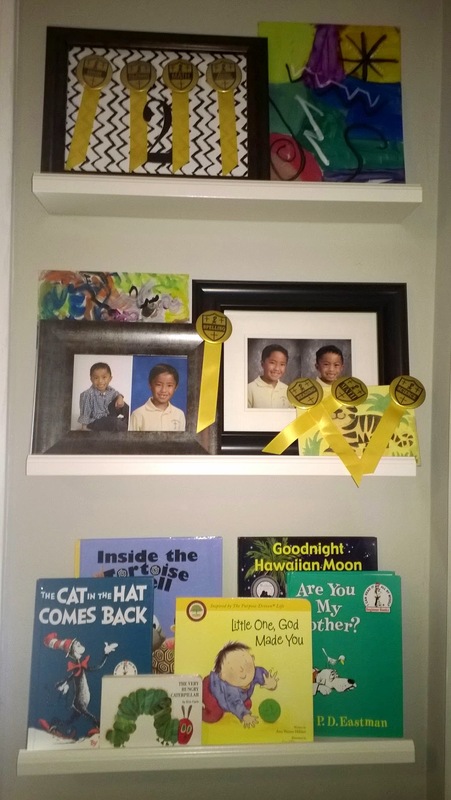 I also gave their old "L" and "R" initials a quick update by "painting/whitewashing" them in a fresh color, and hanging them in their respective closet areas. 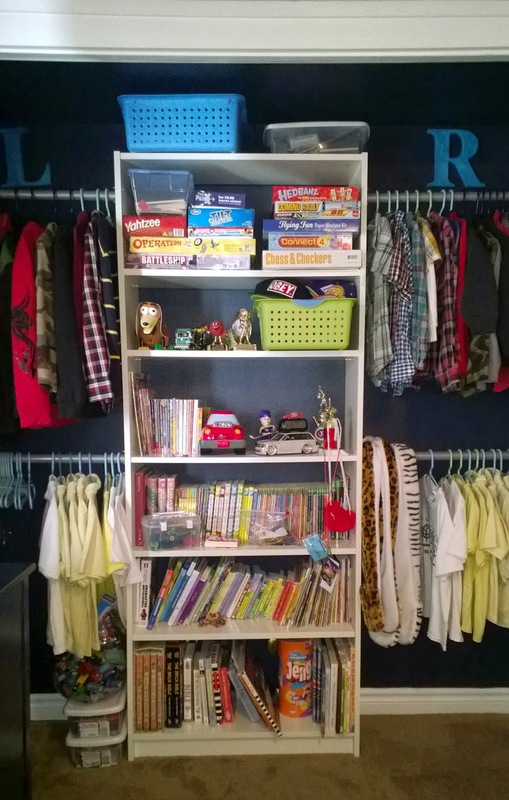 The kids' existing dressers were upcycled and painted. 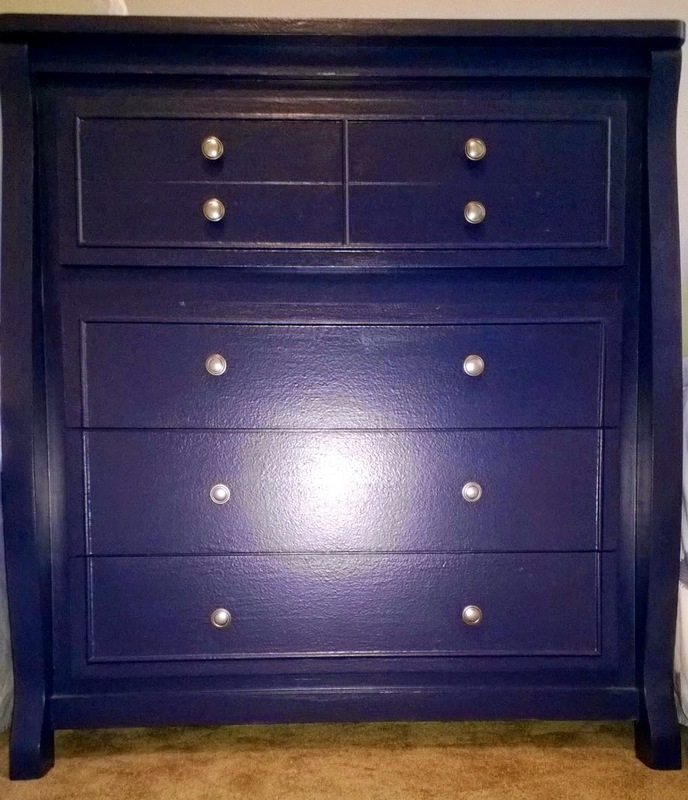 The knobs were also changed on one of the dressers (below). The dresser also doubles as a nightstand. 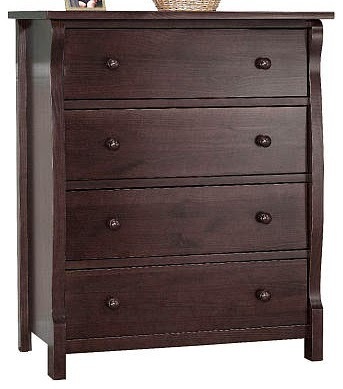 I like utilizing a dresser as a nightstand since it maximizes space and functionality. 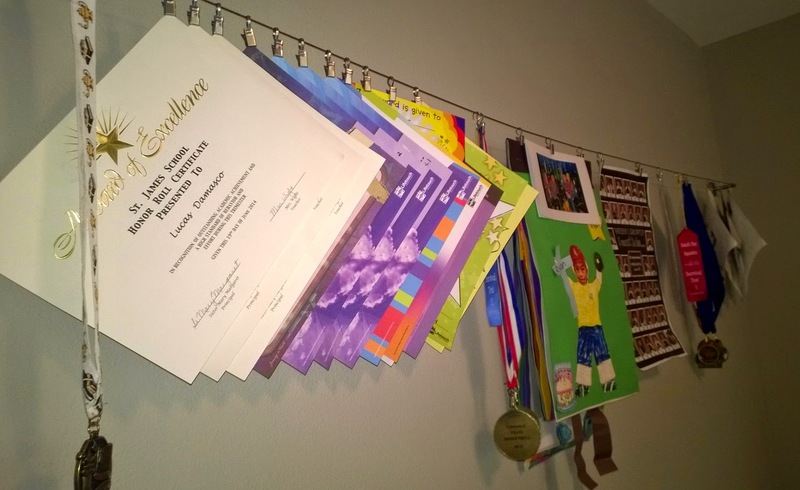 Shelves and wire systems were hung for small storage and display solutions. Finally, a color scheme was chosen by my "clients" - my 6 and 9 year old boys. Their biggest request was that the room include bright neon colors! Umm, okay?! Neon blue and neon lime green were the particular colors of choice. I love blue and green (separately and together), but neon is not exactly up my alley. Nonetheless, the neon hues will be incorporated as accent colors to avoid needing sunglasses every time you enter the room! The bedding was okay'd by my boys, and will serve as the jumping off point for all the finishing touches. 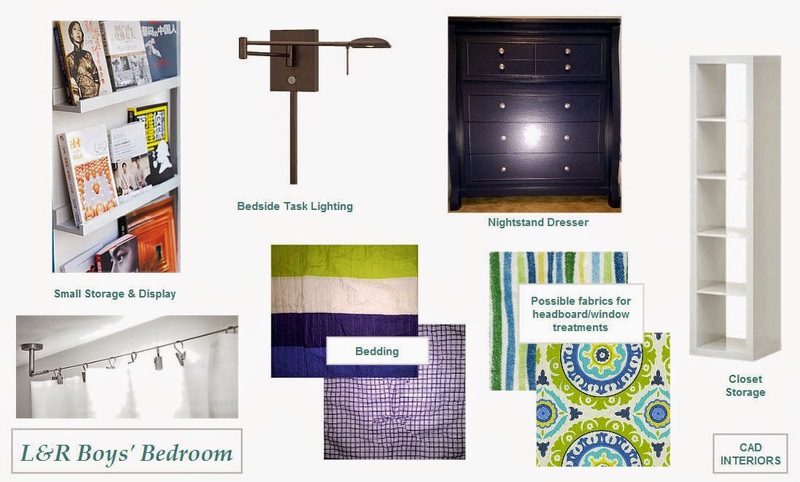 I am still on the hunt for headboards, bedside task lighting, and the fabric for the window treatments, but I sourced some possibilities above. Stay tuned for further room updates!